Also known as medical real estate, healthcare real estate is a niche market that refers to the buildings, offices, and campuses leased to individuals or organizations within the healthcare community, which are owned and operated by third party groups, physicians or health systems through a company that they own. 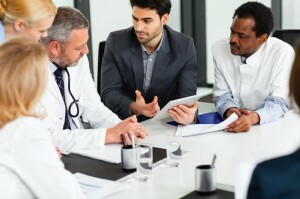 There is currently a rising trend among hospitals, health care systems and medical practitioners to sell their real estate or their ownership in the company that holds the real estate and rely on third party ownership and management because it allows them to free up investment monies and maintain their focus on patient care while another organization such as Medical Office Building (MOB) investors and REIT handles building management and maintenance. Ambulatory Alliances is one of the leaders in providing merger and acquisition healthcare real estate advisory services to creditors, equity investor board of directors, court appointed trustees, management teams, landlords, private equity groups, consolidators, hospital health systems and physician owners. We rely on an in-depth and strategic approach to analyze the business, advise on actions to increase value and then lead the execution of the agreed upon course. We stay with our clients every step of the way through the transaction and beyond and help you with the full process of Surgery Center Real Estate sales. We have helped multiple physician-owned healthcare organizations determine the most advantageous time to sell. This includes how to maximize fair market valuations, EBITDA and sales price multiples as well as providing solutions for operational issues that affect the business’s value. Advisory services cover assessment and evaluation of strategic alternatives, valuations, sell-side and buy-side M&A, turnarounds and workouts, joint ventures and strategic alliances, and raising equity and debt capital from local and commercial banks, finance companies, private investors, hedge funds, private equity and mezzanine/subordinated debt. If you want to make complex healthcare deals happen, Ambulatory Alliances is the right choice.